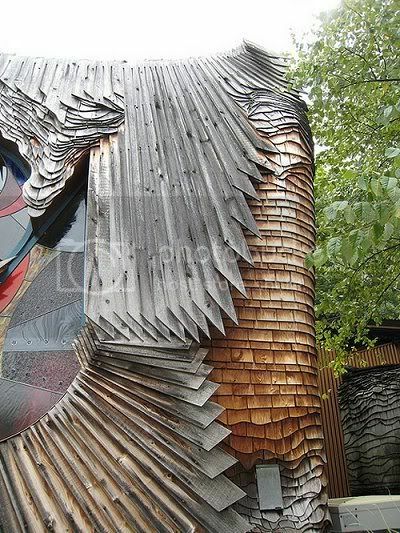 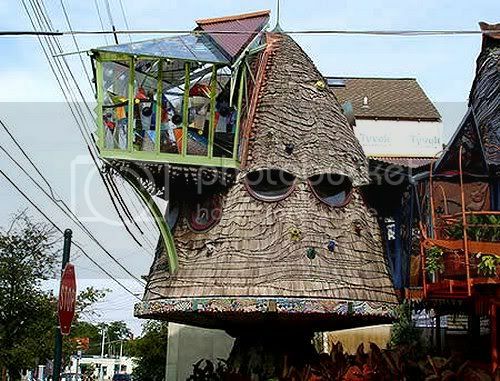 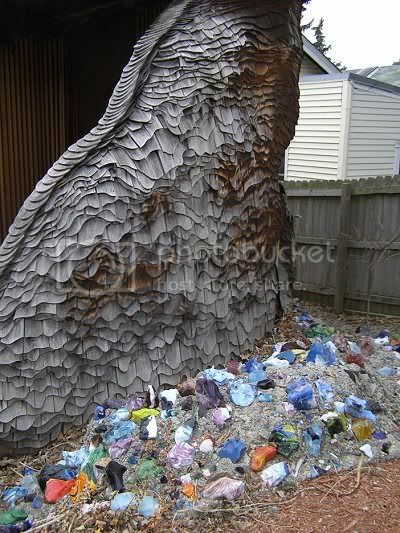 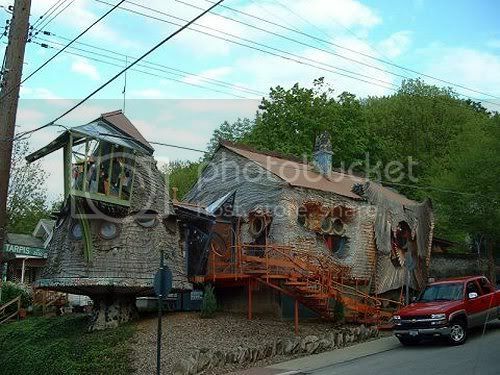 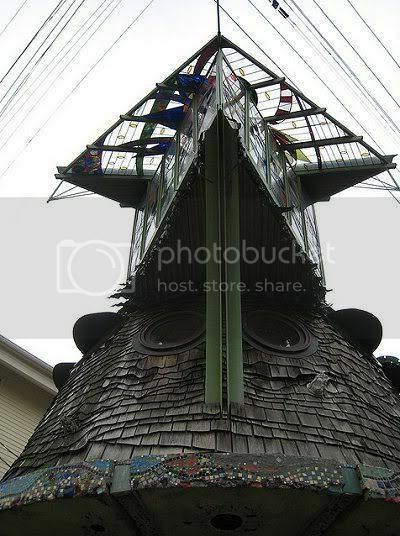 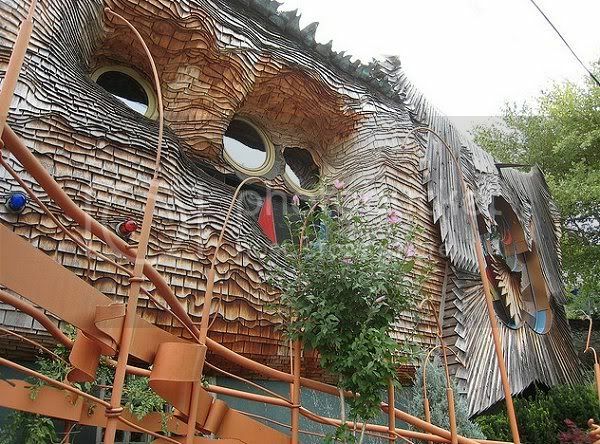 "The Mushroom House (aka Tree House) is in the Hyde Park section of Cincinnati, OH. 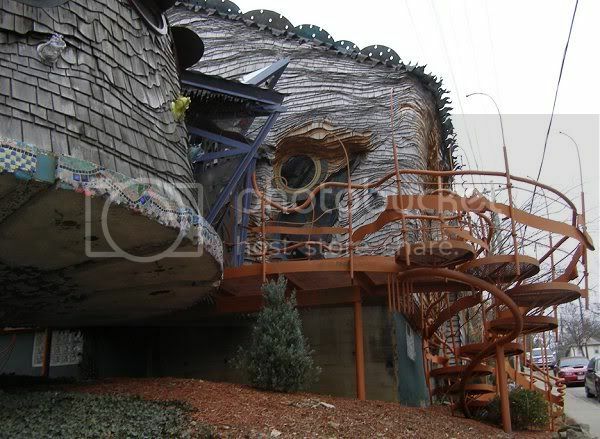 It was designed by architect Terry Brown, a professor of Architecture and Interior Design at the University of Cincinnati. 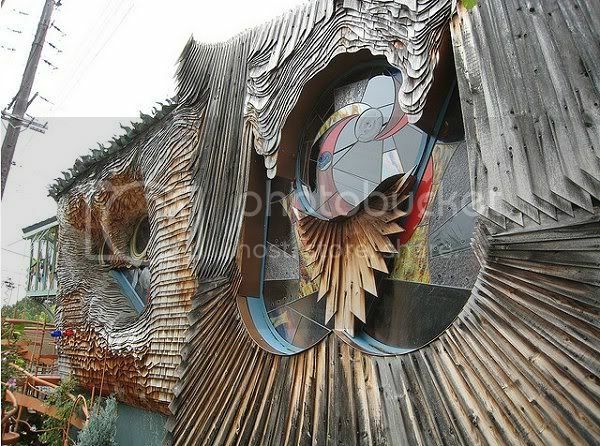 The building was created with the assistance of university students."